We are Brass Wood Designers, manufacturers and exporters of Furniture, Handicraft and Small Gift items, Stair case railings (Balusters), Wooden Hand Carved furniture, and interior decorators par excellence. Our products bear our distinctive label, the mark of true quality. It include Antique Reproduction Items in Wood, Wooden hand Carved Dining Sets, Beds, Center Tables, Dressing Tables, Cabinets, Sofa sets, Leather Sofa Sets, Wardrobes, Screens, Tables, Gift items, Office furniture, Candle stands in brass, Iron and wood and other such furniture. 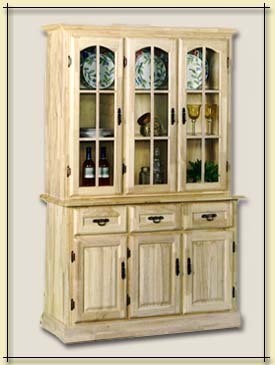 We are specialist producers of carved furniture, a field where our expertise is beyond question. Our carvings are exquisite and give extreme attention to details. Our expert designers work round the clock to come up with designs that will have you enthralled. 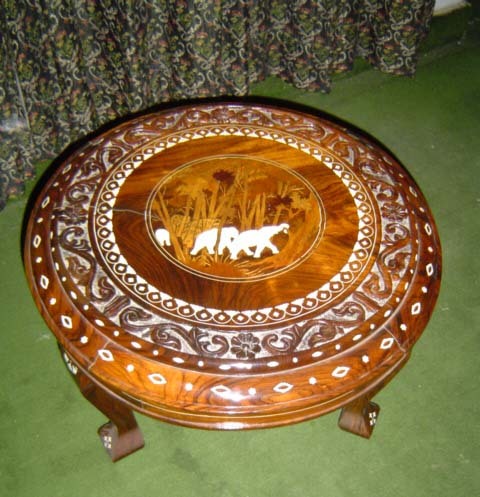 A combination of skill and sincere workmanship combines to create appealing woodwork. 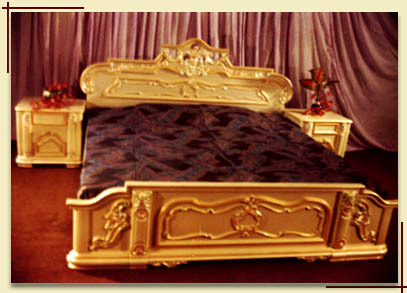 Our expertise are in Brass Inlay, Mother of Pearl Inlay, Wood Inlay, Statue Work and Relief Work. Our company also undertakes interior decoration work of offices, residences and hotels on a turnkey basis. Our designers can produce any design as per your requirements, drawings, specifications, pictures or measurements. If you are interested in giving your space a touch of class, a feel of elegance and a measure of comfort, come to us. It is a measure of our success that we have satisfied clients both at home in India and abroad. Our products are exported to Holland, USA., UK, Norway, Kuwait, Germany, Zambia, Muscat and Saudi Arab. If you have any suggestions or orders, we will be happy to hear from you.